To promote the second season of Westworld, which bows this Sunday on HBO, one of YouTube’s most beloved inventors of slipshod robots, Simone Giertz, has teamed with digital studio Portal A for a hilarious branded outing. In the video, Giertz helms an animatronic version of herself from scratch — in the vein of the astonishingly lifelike robots that populate the fantasy theme park in which the show is set — and auditions to become a cast member. 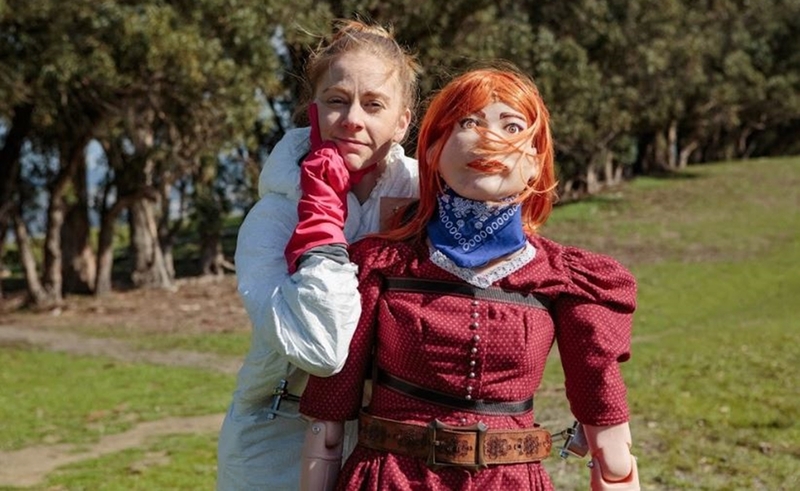 Giertz’s resemblance to the finished bot, which she names Sim Two, isn’t exactly uncanny, though it does have working limbs and can recite the show’s poetic dialogue in Giertz’s voice, with her signature brand of humor. In addition to the flagship YouTube video (see below), Portal A produced a series of shorts for Giertz’s Facebook and Instagram channels. Across these three social channels, she counts roughly 1.4 million followers.